This is the third cake that I decorated after completing the course. Here’s a link to my favourite yellow cake recipe. I tried a new leaf tip that I bought to replace the one that came with the Wilson student kit and I was very happy to see that it worked beautifully – much better than the first one I had. 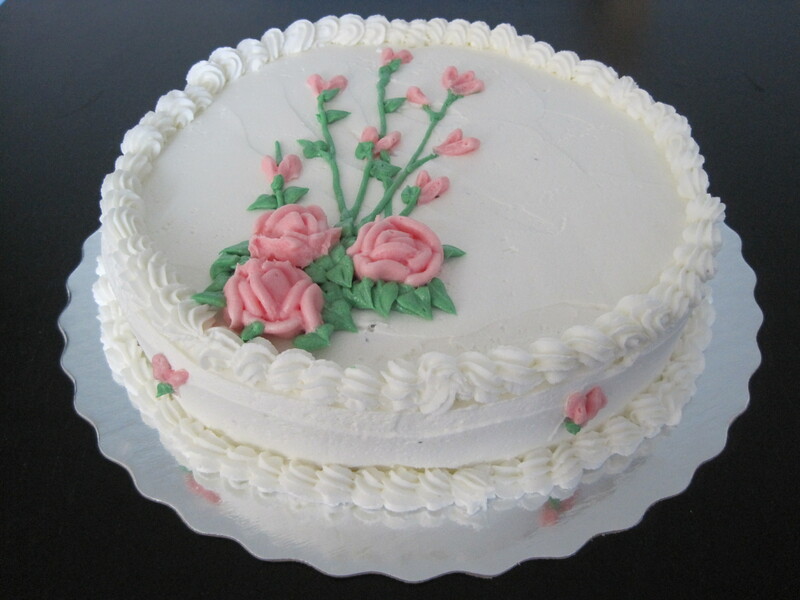 The icing wasn’t stiff enough so the roses turned out a bit flat. If you want to know how I did any of the decorations (ie. tip number, icing consistency, etc. ), feel free to ask me in a comment and I’ll post the details in a reply.